In the diplomatic debacle at the United Nations General Assembly pertaining to the vote of recognition to the Palestinian Authority, two countries considered solid supporters of Israel, abandoned us at the crucial moment. Israel was shocked when Germany abstained, especially as Chancellor Angela Merkel had stated earlier that Germany would vote against the Palestinian initiative. 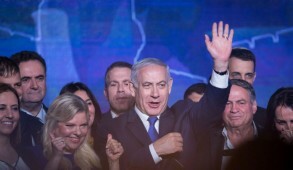 The other unexpected defection was the last moment abstention of Australian Prime Minister Julia Gillard’s Labor government, considered a strong supporter of Israel. On a few recent occasions, votes by Australia at the UN appeared to deviate from the norm, but this was rationalized as temporary pandering to the Arabs to solicit votes for elections to the Security Council. Carr was vigorously supported by former Labor Prime Minister Bob Hawke, at one time one of Israel’s greatest supporters, notorious (whilst inebriated) for having called on Israel to “nuke” the Palestinians if they failed to halt the terror. Hawke was intimately connected to Israel’s Labor leaders but after Menahem Begin was elected Prime Minister in 1977, he changed his views and today regards Israel as “intransigent”. He was supported by another veteran Labor politician, former Foreign Minister Gareth Evans, who since retiring from government has been consistently canvassing the Arab cause. Both fervently lobbied Labor ministers to repudiate Gillard’s policy. Carr was only appointed to his post in March this year. Prior to that he had served for 11 years as Premier of Australia’s largest state, New South Wales. Ironically, he was once considered a close friend of the Jewish community. He is knowledgeable about Jewish affairs and has a genuine and sensitive understanding of the Holocaust. In 1977, he was a founding member of the Labor Friends of Israel. He subsequently became a passionate admirer of Amos Oz and appears to have absorbed much of his far left outlook on Israeli affairs. In 2003, as State Premier, he dismayed the Jewish community and friends of Israel by presenting the Sydney Peace Prize to Palestinian political activist, Hanan Ashrawi, renowned for her rabid demonization of Israel. 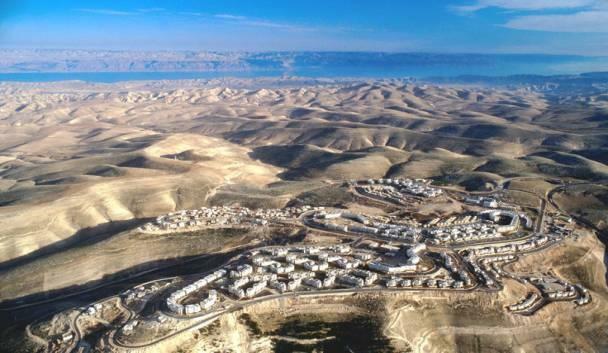 Carr’s change of policy was confirmed when he joined the European bandwagon and hauled Israel’s Ambassador to Australia, Yuval Rotem over the coals following Israel’s decision to build homes in the Jerusalem suburbs and adjacent areas – which the Bush Administration had agreed should remain within Israel. Australia has a long association of friendship with Israel dating back to Australian troops who served in Palestine during both World Wars. Labor leader Dr. H.V. Evatt was UN President in 1948 when the Jewish state was proclaimed and since then until today – with the exception of Prime Minister Gough Whitlam from 1972-1975, – successive Australian governments of all political persuasions, displayed strong friendship towards Israel. The Liberal (conservative) government under Prime Minister John Howard, which governed Australia for 11 years prior to Labor’s electoral victory in 2007, was especially supportive of Israel and could be compared to the Harper Government in Canada today. When Howard visited Israel in 2000, I had already made aliya and reluctantly accepted his invitation to accompany his delegation to meet with Arafat. Afterwards he solicited my opinion and I told him that I regarded Arafat as a duplicitous terrorist and did not believe he had any intention of seeking a peace settlement. I recall his response: “Should Arafat ever renege on the commitments to peace which he conveyed today, I give you a clear undertaking that as long as I am Prime Minister, the Jewish community and the people of Israel will never have reason to feel that I let them down”. Howard kept his word and in subsequent years emerged as Israel’s greatest champion amongst world statesmen. Labor, headed by Kevin Rudd, gained office in 2007 and three years later was succeeded by Julia Gillard. 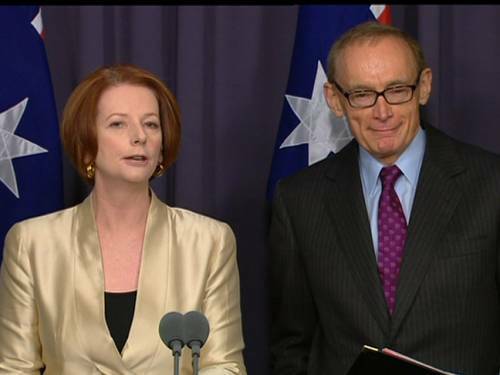 Under both Prime Ministers, but especially Gillard, Labor maintained an evenhanded bipartisan approach towards Israel. 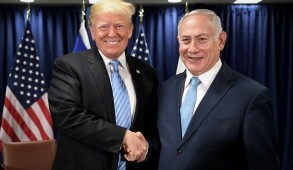 Much of this historical bipartisanship can be attributed to a vigorous Jewish community, renowned as being one of the most vibrant Zionist communities in the Diaspora. 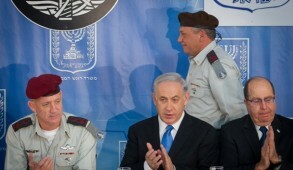 Its leadership has never failed, to speak upand take a principled stand on behalf of Israel when appropriate. With close to 500,000 Moslems now living in Australia, many concentrated in key Labor Party electorates, their influence has impacted on a number of Labor Ministers. 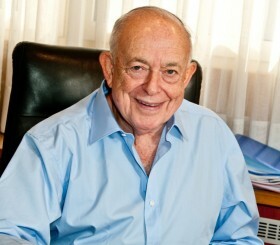 Combined with the vehement anti-Israeli orientation of the far left Labor factions, this enabled Carr to persuade the Cabinet to tilt its policy against Israel. However it is premature to totally write off the Australian Labor Party. 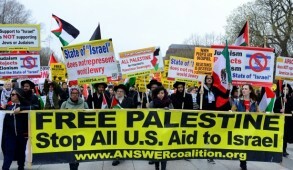 It has a long tradition of friendship towards Israel and many of its leaders were distressed with recent developments. Besides, although understandably disheartened, Prime Minister Julia Gillard remains solidly pro-Israel, reiterating her view that this abstention was a mistake and will only serve to embolden Palestinian extremists. The opposition Liberal Party adamantly supports Israel. Former Prime Minister John Howard described the government’s tilt as “pathetic” and an “embarrassment”. Elections are scheduled next year and recent polls indicate that the Liberals may win by a landslide. But unless Gillard succeeds in persuading the Labor Party caucus to change its approach, in the short term Israel should not expect support from Australia under Foreign Minister Carr. Like many of our European “friends”, Carr may continue insisting that his motivations are based upon having the Jewish state’s security at heart and trying to save Israel from itself. But when the chips are down, he will abandon us as he did at the UN General Assembly.